The Writers Guild of Canada has a very interesting article on the "Anatomy of My Babysitter's a Vampire" by executive producer/show runner Tim Burns. Although MBAV is not a Disney Channel original series, I find it to be one of their best (compared to it's current original programming)! 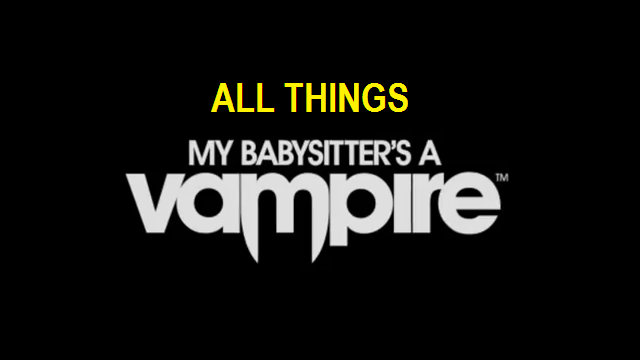 My Babysitter’s a Vampire showrunner Tim Burns describes the show this way "The comedic tone is twisted, quirky, weird and stupid, and true to the worldview of a 12-year-old self-confessed geek." This combination has proved winning for the show, helping it take a bite out of the crowded youth demonic film and TV market dominated by the likes of the Twilight movie franchise and The Vampire Diaries. It’s undead youth programming, set in the world of geeks and nerds. "We knew we were pushing the envelope while writing season one, so when it showed up on Disney, it stuck out and got noticed because it isn’t the usual type of show that goes through their development process," says Burns. "It was a strange fit for them but it touched a nerve with their audience which is great." From the outset Burns stuck to the vision of making a show about nerd boys for nerd boys, and didn’t stray from that. "We knew who we were writing the show for and, if anything has been proven, it’s that this approach can pay dividends because you aren’t watering down the tone of your show," says Mike Kiss, executive story editor on season one and consulting producer on season two. "If you make a show that knows what it is and is fun to watch, I think an audience will find it. If you go after your core audience, you are going to get a lot of spillover."